It was super exciting match as predicted by all of us which pitted best friends, hitting partners, academy mates and India no. 8 & 9 against each other.. The match opened with not much of fan fare before Sandesh was staring at a set point at 5-2.. Arjun who was docile uptil then started getting his groove back which saw him win that game and the next in which Sandesh had 2 more set points. The score at 5-4 saw Arjun come up with some awesome hitting with which he levelled the set. 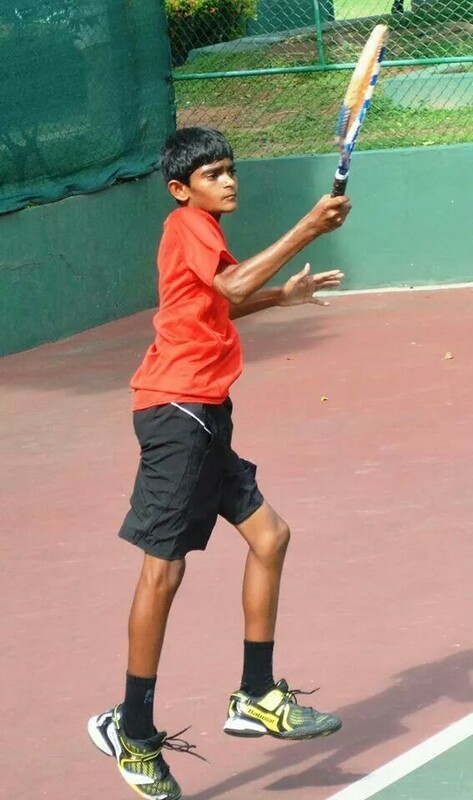 Sandesh came up with some brilliant groundstrokes to claim the game but Arjun conquered the next which forced them into a tie break. Arjun raced to a quick 4-2 lead in the tie break, Sandesh caught up with him but Arjun was too good to win the next 3 points on the trot to capture the tiebreaker and first set 7-6. Congradulations on winning performance, wishing you success all along.